Writer and director Rene Rivas has crafted a fitting tribute to John Carpenter’s Halloween and the Michael Myers franchise it spawned with his fun new fan film The Spirit of Haddonfield. With a runtime of just under 20 minutes, the film takes place in an alternate Halloween H20 universe, exactly 20 years after the events of 1998’s H20, while disregarding anything that happened in Halloween Resurrection. Rivas wastes no time getting into the horror, as the short moves at a brisk pace, turning up the tension early on and never easing off. The action on screen pays tons of homage to Carpenter’s classic, with just enough originality thrown in for Rivas to show off his sills and unique sensibilities as a filmmaker. The protagonist is a 17-year-old high school student named Hannah, played by Hannah Owens, who has an encounter with Michael Myers on her walk home on an idyllic Halloween afternoon. Owens shows a bit of the humor of Annie and the spunkiness of Lynda in her portrayal, while ultimately displaying the smarts and instincts of Laurie Strode. She is a worthy successor to the tough ladies of Haddonfield from previous Halloween films. The Spirit was shot in Flagstaff, Arizona last fall, and Rivas makes good use of the real life autumn foliage, with actual leaves on the ground where Carpenter’s original had to import its fall vibes into Pasadena, California. From the opening shot of a familiar sidewalk in a wholesome-seeming nighborhood right up until the shocking final seconds, it all feels like Carpenter and Debra Hill’s fictional town of Haddonfield, Illinois. Rivas effectively recreates the mounting, unrelenting suspense of John Carpenter’s 1978 Halloween, as Myers is wisely used not as the centerpiece of the film but as The Shape of lurking terror just inside the outer edges of the frame. The film’s co-producer Vincente DiSanti, who was a deadly and delightful Jason Voorhees in last year’s Friday the 13th fan film Never Hike Alone, plays The Shape and does a great job of evoking the creepy reality of a psychopath in a mask stalking a young girl. Desanit’s minimalist movements channel Nick Castle’s performance as Myers in the ’78 original with a dose of Chris Durand’s slightly more nuanced performance as Myers in H20. 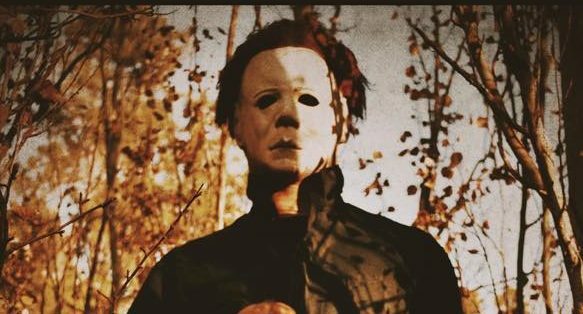 The production of the film is outstanding, with a well done sound design that uses some perfectly chosen versions of the classic Halloween theme that are just right for this particular project. Among the hundreds of Halloween fan films released over the years, few have approached the hallowed source material with the reverence and dedication as The Spirit of Haddonfield, a short and sweet killer ride and an entertaining love letter to the Carpenter original. The Spirit of Haddonfield short film will be released for free online on YouTube on October 1, and it will be screened as part of a free fan film showcase at the official Halloween International Film Festival After Party on Friday, Oct. 26 in Kill Devil Hills, NC. You can read our exclusive interview with Rivas about the not-for-profit fan film here.